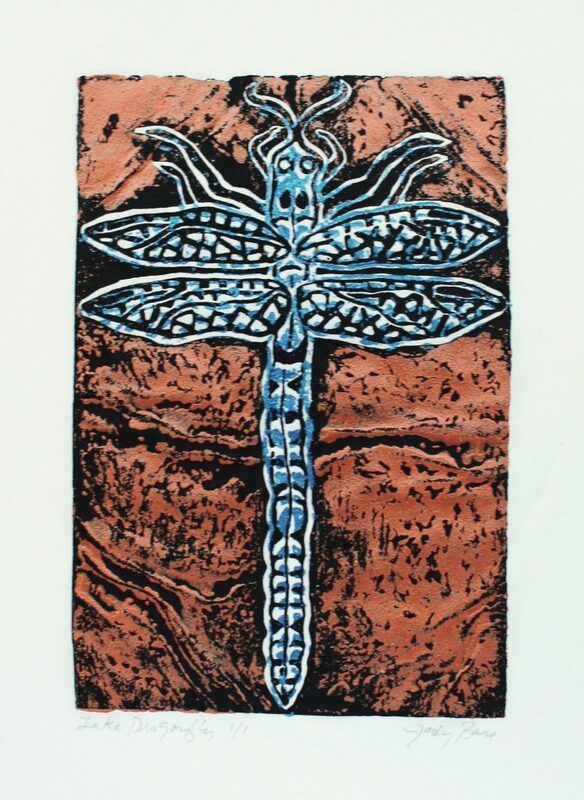 “Lake Dragonfly” is a two block lino-cut print of metallic orange and blue on mulberry block printing paper. (10″ x 7″) Color may vary slightly due to light on metallic inks. 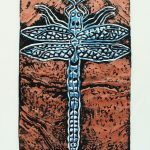 Prints are unmounted and not framed mailed in a clear sleeve with acid free backing. Please call if any questions: 831-425-8430.